Genevieve and I have even more reason to celebrate after this trip to see my oncologist in San Diego. It has been three long months since the last nervous check-in to see how my CT scan results turned out. That's twice as far apart as the scans used to be, so there is twice as much to worry about. But guess what? No new growth. Again! I started taking AZD9291, AKA Tagrisso, 27 months ago. On average, this drug works for 13 months. This means that I not only "won" a "baker's year" of extra life the first time around: It means that when that was done, I took another full victory lap around the sun. Yaaaaaaah! So much to be grateful for! As if that wasn't enough. There's more! On this trip, we found out that the trial is beginning the wind-down phase. That means we will see my oncologist half as often, which matches up with the scans. Also, each time we fly to San Diego, the team places electrodes on my chest and does an EKG to see if my heart is being affected. Those tests will be done half as often as well. The risks of this drug are becoming more known, so the researchers aren't as worried about the impact on people's hearts. That's a good sign not only for me, but for every person who will ever take this drug. Flying to San Diego four times per year instead of eight sounds pretty great, although there are some perks to taking those trips. Getting even a few hours in the San Diego sun after the snowiest, iciest Oregon winter in my lifetime has done our hearts good. See below for a picture of the signs of hope and optimism (in addition to Genevieve) that the latest San Diego trip brought. Even though we won't get to see as much beautiful sunshine, this means that I have partially graduated, and I'm getting close to outlasting the trial. Yet another victory! The final victory will come at the end of the year, when the clinical trial is shut down. 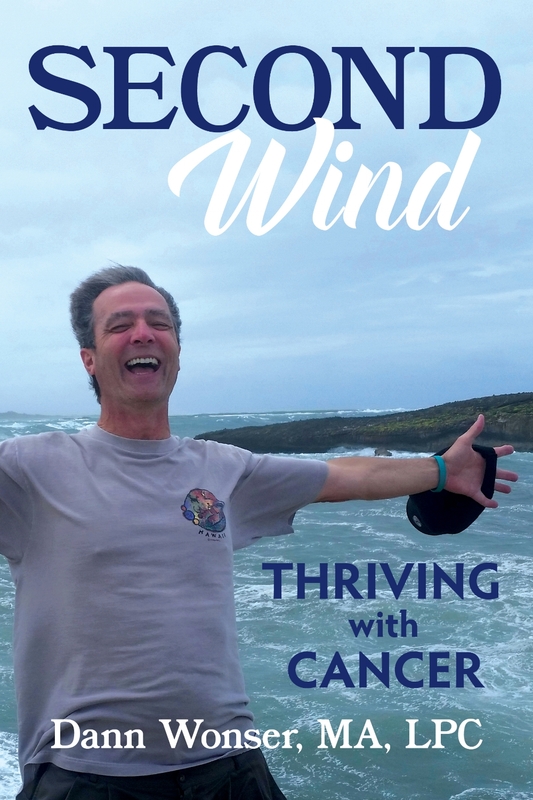 Tagrisso was the fastest drug to ever get approved for a clinical trial by the FDA, and it has been life-extending for those of us who had a good response. What a great success story. I want to give props to AstraZeneca, the sponsor/creator of this amazing drug. They will continue supplying this med to me for free after the trial is over, for as long as I am still benefiting. Although this seems like the ethical thing to do, I'm told that this isn't common. Thank you, AstraZeneca! Speaking of victory laps, I'm asking for you to take one with me. The event is the Lung Love Run/Walk, which will be held in Laurelhurst Park in Portland on Saturday, June 24th. My goals this year are to have a team of 30 people join me on the walk, and to raise $3,000 for Lung Cancer Alliance and their advocacy efforts. This is the group that I went with to D.C. last year to lobby congress for lung cancer research. Given the political climate, lobbying for health care is going to be extremely critical. I encourage you to check out the web page for my team, Live Lung and Prosper, at http://engage.lungcanceralliance.org/site/TR/WalkMap/General?team_id=1532&pg=team&fr_id=1211. I am only doing one fund-raiser and one trip to D.C. this year. Have you had your own "victory lap" event lately? Share the joy and pass it on. Reply in "Comments" below, send it to me through the "Contact" tab, or send me an email. I'd love to hear about it, and I would love to share it, if you give the OK.